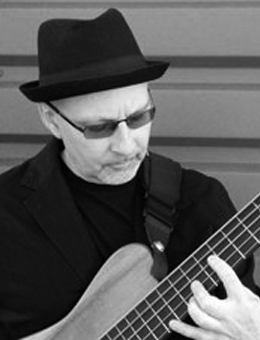 Lincoln Goines is an accomplished electric and acoustic bassist, author, and composer from NYC, USA. He has performed and recorded with an extensive list of artists including Dizzy Gillespie, Gato Barbieri, Dave Grusin, Carly Simon and Mike Stern. With a mission to ‘combine rhythm and harmony into a personal low-end language’ Lincoln approaches bass as a way of thinking and a way of life. His current band projects include the Saninde, Le Baby Macho, and the Franceschini/Goines/Ameen Trio He has co-authored the book and DVD Funkifying the Clave: Afro-Cuban Grooves for Bass and Drums (with drummer Robby Ameen) and has been a contributing author for Bass Lessons with the Greats and The Collective Contemporary Styles Series. Lincoln is a currently a faculty member of the Bass Collective.